he is amazing thank you for saving him! WHAT YOU CAN DO TO HELP PREVENT THIS-YES, YOU *CAN* HELP, AND YOU *SHOULD!! * IT WILL NOT COST YOU A DIME. PLEASE COPY THIS FORM LETTER AND SEND IT TO YOUR FEDERAL REPRESENTATIVES!!! (1) MOST STATES do list them as felonies--but oftentimes ARE REDUCED to misdemeanors. (2) TRUTH: Idaho and Wyoming list dog fighting as a misdemanor. Wyoming did have a session recently and addressed it--they REJECTED it and it remains a misdemeanor. (3) TRUTH: Some states still allow people to watch dog fighting. Just not host. 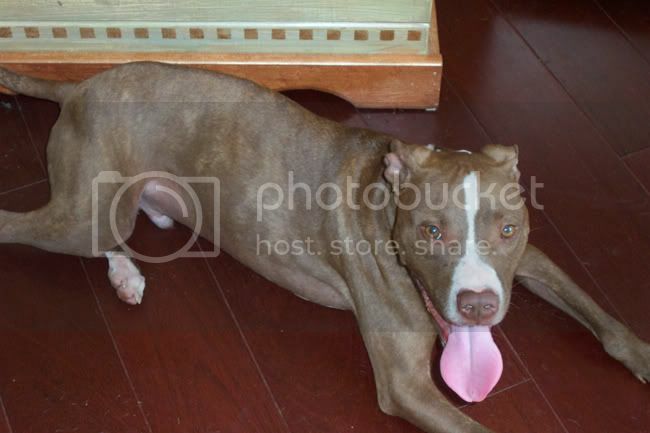 (4) TRUTH: Some states allow dog fighting kennels, just not to participate (yeah, right). (5) TRUTH: It's ONLY a federal case if INTERSTATE involvment happened. It's really the only thing that got Micheal Vick. Otherwise it would just be a felony case in Virginia...and it probably would have been reduced to a misdemeanor--he has all these lawyers. (6) TRUTH: Dog fighting is a NATIONAL EPIDEMIC. People complain about Korea eating dog which involves a very painful hideous death, but look what we do in our country with our dogs. The Humane Society of the United States estimates over 40,000+ dog fighting kennels. It's probably over 100,000+ considering all the dark alley kennels. 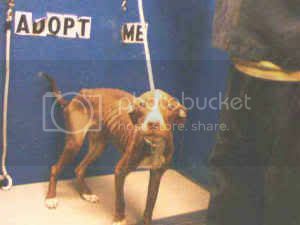 (7) TRUTH: DOG FIGHTERS use homeless and stolen cats, dogs, puppies, and kittens for training bait-they enjoy watching these poor creatures get torn to pieces. Imagine how that would feel to get ripped to pieces alive. (8) TRUTH: DOG FIGTING funds street gangs, illegal gambling, illegal weapons, and dopers and all other vices and perversions. Check out the HUMANE SOCIETY OF THE UNITED STATES-yes, it's all true. If the federal legislature FAILS to make dog fighting a federal crime in all 50 states even without interstate involvment, then the US truly earns the title of AMERICA, THE CRUEL. DOG FIGHTING IS SICK!!! THIS IS A DOG FIGHTING NATION--IT NEEDS TO STOP!!! I work for a rescue that fosters all over the US and Canada, we are having trouble with a foster home and a pit girl Cali. she is a wonderful girl but the foster has a dog, much smaller than she, that is choosing to pick fights with her regularly, this is causing some agression between the dogs and blood was drawn the last time. She is wanting to send the dog back to us and we are without a foster that has room, so you know anyone who might foster this girl. We will make arrangements to transport but are worried that the foster will lose patience and will want to shelter her. She is in Canada right now, Edmonton, and we need help. If you have any ideas please contact us. She is posted on our myspace Forever Home, i am on your friends list. Please look at the girl and if you know of anyone please let me know. Thanks for listening.. Please contact me if you are interested, and I can foward you over to the right people! What you do with these dogs is AWESOME. Check out Buddy, who was pulled from NYCACC on his euth day by my rescue group (Bobbi & the Strays) up here in Queens, NY.. doesn't even look like the same dog! Nothing beat the feeling the day we found out he was adopted forever. Thanks for spreading the message about these misrepresented and misunderstood babies, and about spay/neuter. she's been to the vet for dehidration,i live outside atlanta...she's not mine but the owners dont want her.i love her to death but i dont have the money to have her eye taken care of.thats why i'm trying everything to find someone who can save her. believe me when i say i have cried and trying not to cry now cause i feel so helpless.i just told my husband how i miss her so much. i just happen to be her puppy sitter. i wish to god i had the money to have her eye taken care of.she's the sweetest little thing u ever met. she loves to nuzzle right under my chin and follow me around when i'm fixin her food. i told them i couldnt watch her anymore if they werent gonna take her to the vet cause i refuse to watch her suffer...i'm thinking i'm gonna have to go back on my word cuase i miss her....geez i sound like i've just lost a child. any way if there is anything u can do to help me...PLEASE let me know. [QUOTE=Rockstar;20081]This story makes me sick to my stomach. here we go again, just like with the beagle. i hope to god i dont ever catch anybody doing this to a dog. ANY DOG!!!! !